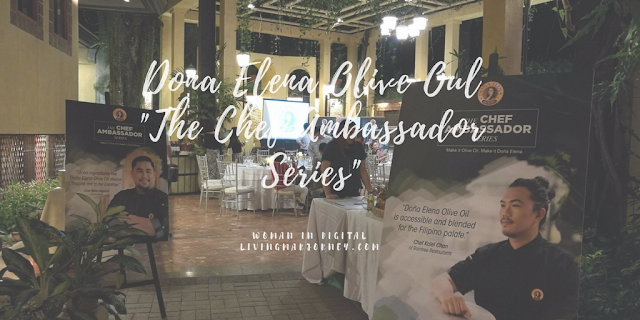 Woman In Digital: Dona Elena Olive Oil Launched the "Chef Ambassador Series"
Dona Elena Olive Oil Launched the "Chef Ambassador Series"
I've been using Dona Elena Olive Oil for a long time now even on simple sunny side up egg to whipping up delicious and healthy meals. 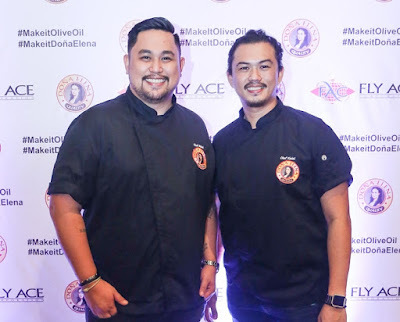 Recently, Doña Elena Olive Oil kicks off the Chef Ambassador Series Campaign that aims to seek out those who are making waves in the culinary scene and are game changers in the industry. Two of the country's culinary masters, Locavore’s Executive Chef Mikel Zaguirre and Raintree Restaurant’s Corporate Chef Kalel Chan in its debut of the Chef Ambassador Series campaign. The two chefs confessed an avid user of Dona Elena Olive oil. They said the product is highly versatile and suitable in many types of dishes. 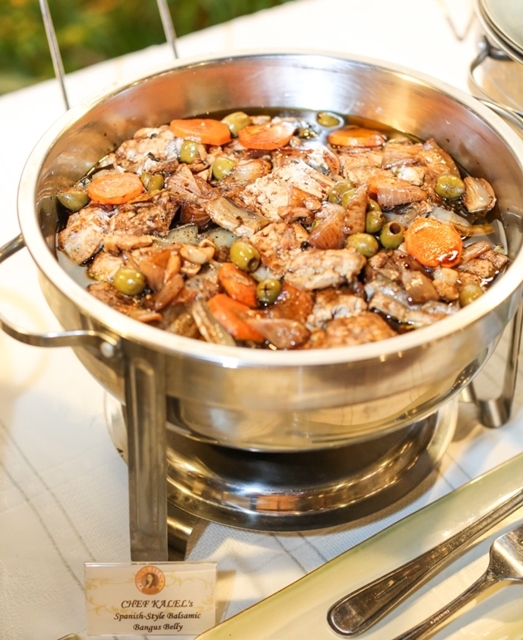 Chef Kalel's latest recipe for Doña Elena Olive Oil is a Spanish Style Balsamic Bangus Belly using Doña Elena Pure Olive Oil with a heaping serving of balsamic vinegar. It's something I would also like to try at home. The result has tang and a touch of sweetness that lingers in every bite. Chef Kalel shares some cooking tips. Low fire cooking is the key to allow flavors come out of any dish. Chef Mikel’s recipe is called Mojo Chicken with balanced flavors and great presentation. Not to be overlooked is the Chimichurri with aromatic, garlicky taste using Doña Elena Extra Virgin Olive Oil as the main ingredient. For cooking tips, he recommended using mortar and pestle because there’s nothing like making your sauce by hand for a more flavorful result. It’s thick, chunky, and grainy that’s absolutely perfect for all things roasted and baked,” he adds. Instead of using normal oil, Chef Mikel is partial with a healthier one, which is Doña Elena OIive Oil. At home, I choose Dona Elena Olive oil. Not only that it's healthy, it's versatile can add flavor to simple salad and to many dishes. In addition, it's budget-friendly and easily available in leading supermarkets.